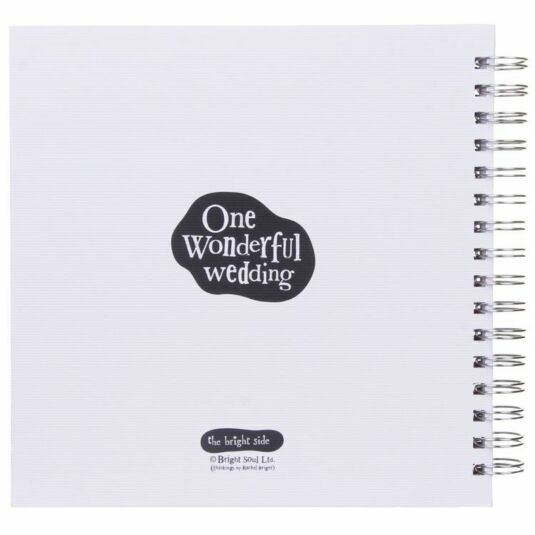 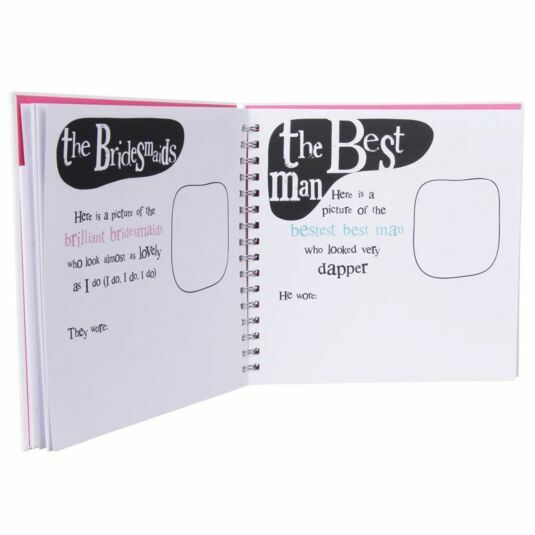 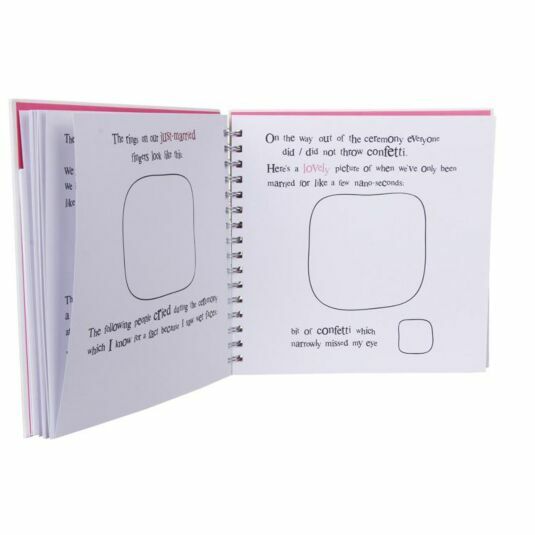 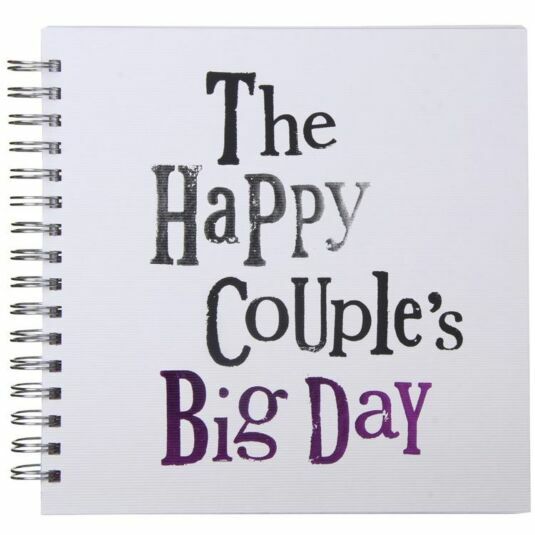 Remember your big day in the most hilarious way with this generously-sized wedding album from The Bright Side. 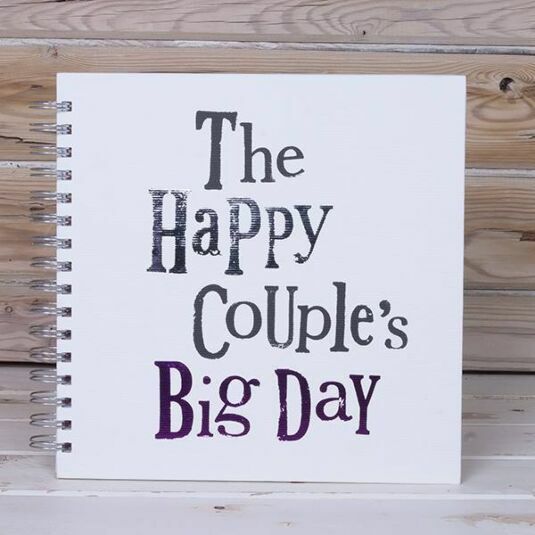 This album includes space for pictures detailing your courtship, engagement and wedding, as well as additional detail including a Lovely Presents list, Messages from people who couldn’t be there on the day, and space for a honeymoon recap. 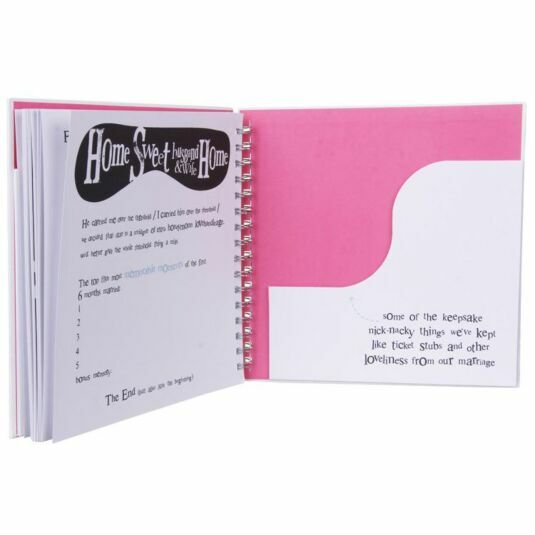 It also includes a pocket on the inside of each cover for extra bit and pieces which may not fit anywhere else.